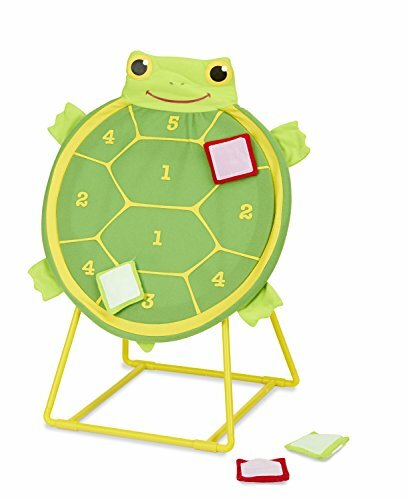 Pick a team--red or green--and take turns tossing your self-stick beanbags at the turtle-shaped target. A non-wobbling base and a smiling face make this an exciting way to learn simple addition and practice hand-eye coordination, indoors or out. Cheerful Tootle Turtle loves doing his yard work! 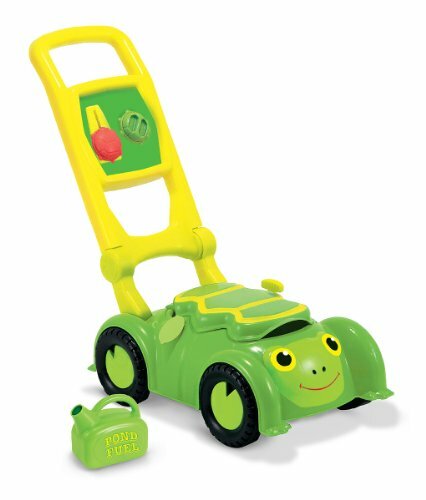 This cleverly designed plastic lawnmower has lots of ways to interest little ones: a storage compartment under the shell, a plastic fuel can to "pour," clicking dials and a pull-cord that makes a motor sound! 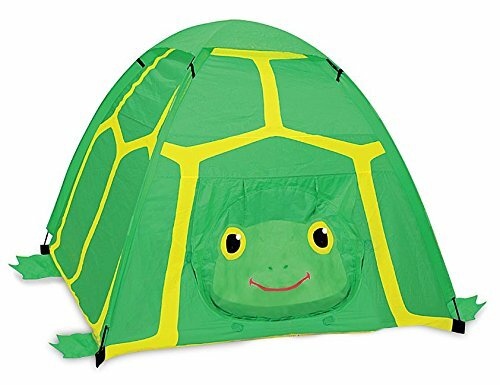 Turn any room into a Sunny Patch adventure land with this easy-to-set-up tent. The bold graphics invite children to enter the turtle’s “shell” for hours of fun! 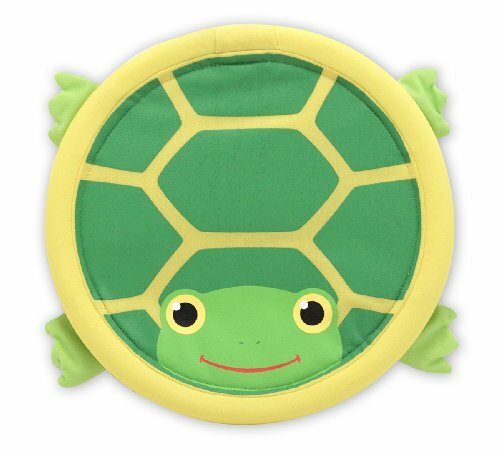 With a flick of your wrist, this turtle will be sailing through the air! 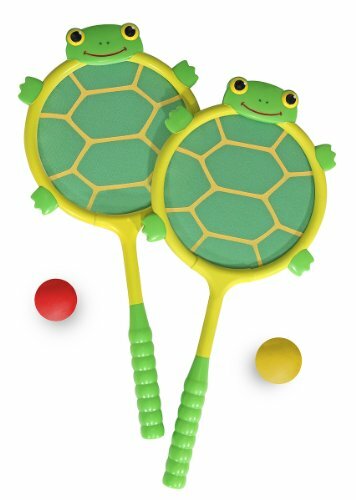 The fabric flying disk, featuring Tootle Turtle, is easy to use and very lightweight for games of catch wherever your family likes to have fun! Two kid-sized racquets featuring shell designs and a boing-y surface team up with two brightly colored balls to make one great racquet set! Improve hand-eye coordination and increase giggles every time you play this game. 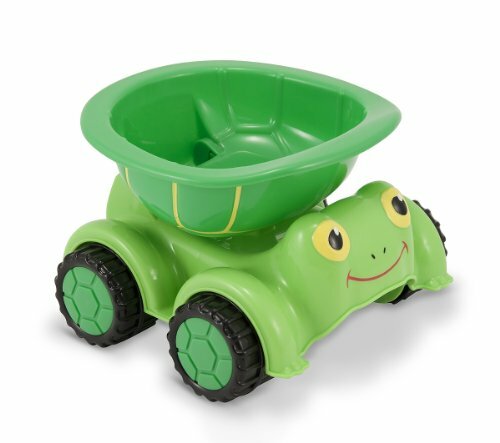 Tootle Turtle's upturned shell is the perfect place to load blocks and toys inside or rocks and dirt outside. Roll along this sturdy little vehicle to haul the load to it destination, then tip the shell to dump it all out! There's no wait for the fun to begin when you and two friends can choose among three adorable character bubble wands. 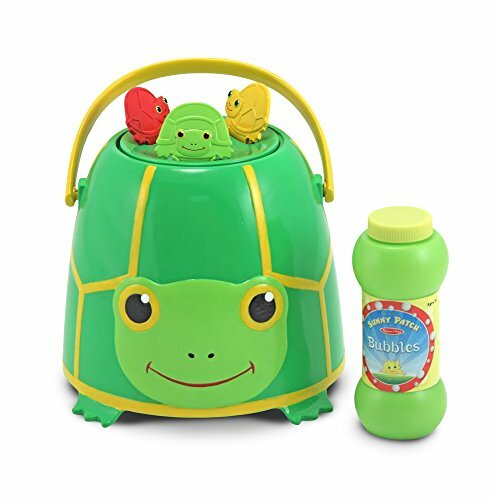 The set includes lots of bubble solution, to blow lots of bubbles, and a convenienct bucket to store it all! 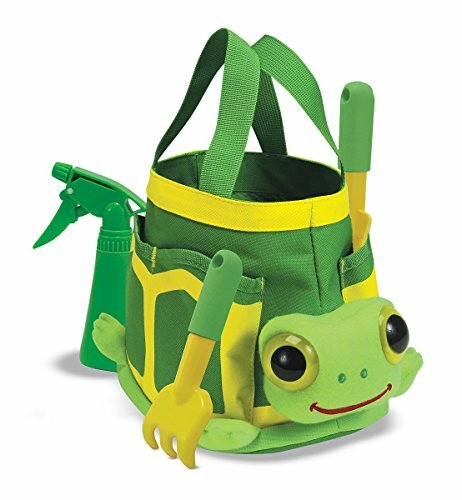 It's fun to help in the garden when you have a set of sturdy, easy-clean tools specially designed for young gardeners. Tootle helps keep them all organized with convenient side pockets in this made-to-last fabric tote with durable woven handles. 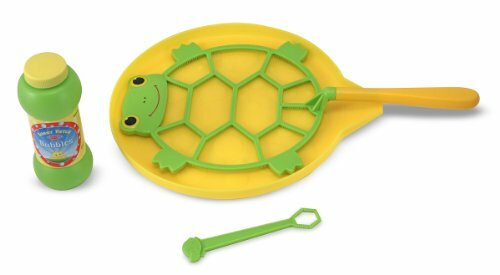 The solution to “There’s nothing to do!”…Pour some of the superior-quality bubble solution into the bubble tray, dip the 7” turtle-shaped wand into the solution and, with a flick of the wrist, fill the air with long-lasting bubbles. 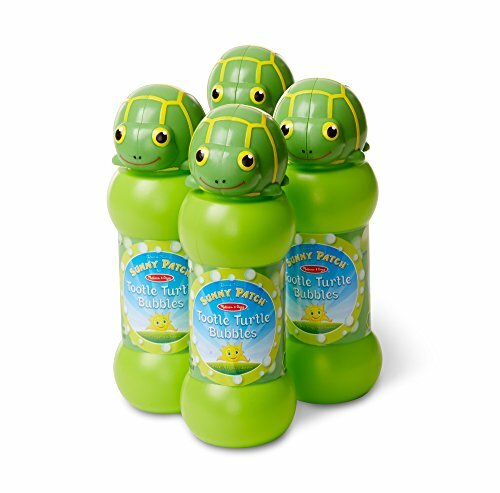 With a sturdy grasp on the tootle turtle bubble wand, blow through it or wave it to fill the air with lots of long-lasting bubbles! this assortment includes four eight-ounce bottles of superior-quality bubble solution to guarantee lots of bubble fun for kids three and older. The turtle-topped wand snaps into the cap for easy handling and storage.